A few weeks ago, we shared a delicious recipe for @cbdsuperfood Golden Spiced Rice. It was so good that we decided to make it again, and spruce it up with some @hempeplantprotein skewers! Made with warm and savory spices, this is a perfect fall dinner and easy to make for a group. The cranberries and grilled pineapples offer a hint of sweetness that melds well with our @cbdsuperfood golden spice flavor. 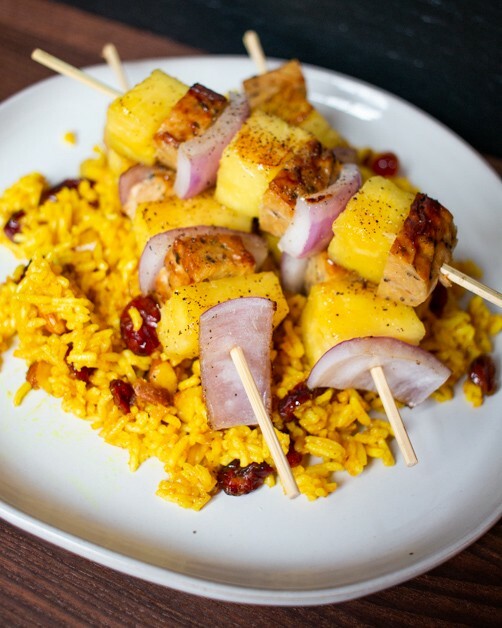 Assemble pineapple, onion and Hempeh on skewers. Oil a cast iron over medium heat. Place skewers on pan and cook for 3–5 minutes each side, until browned. Serve with CBD golden spiced rice.